Wildlife holidays vary in style and it's worth try trying to find holidays that suit your style (also see 'about us'). Email: to chris at honeyguide.co.uk is best; honeyguide at tesco.net will cease to exist during 2018 (at = @). We don't have 'office hours': daytime is convenient for us but evenings and weekends are fine too, if that's better for you, and if you get the answerphone we'll get back to you as soon as we practically can. 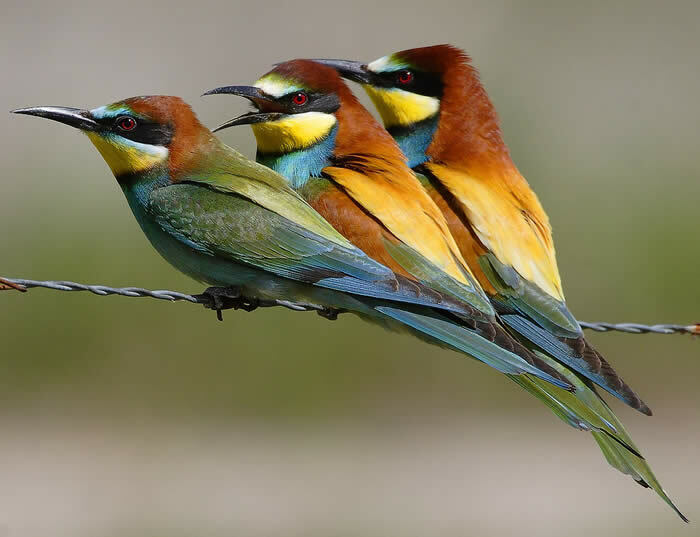 You can also contact us if you would like to receive Honeyguide's monthly e-newsletter, mostly aimed at 'Honeyguiders' - those who have travelled with us. Highlights of previous e-newsletters are on our news page. As you'd expect, it's always helpful to know where you heard about Honeyguide. 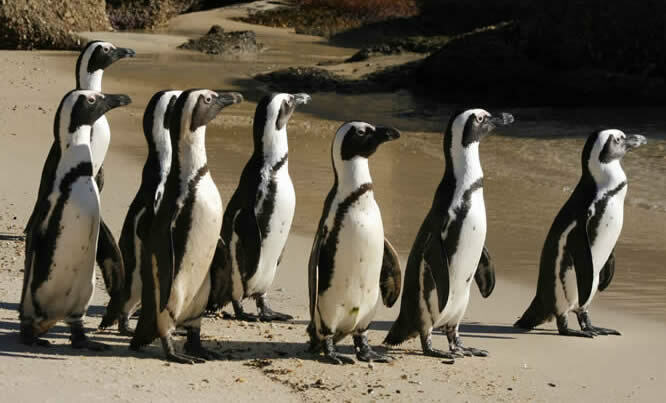 African penguins (Geoff Crane) in South Africa's Southwest Cape. 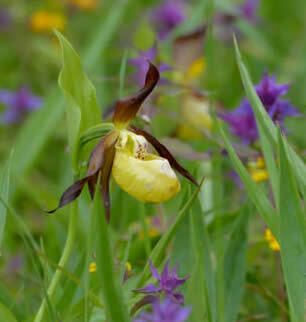 Lady's slipper orchid with wood cow-wheat in Estonia (Ivan Nethercoat).